United States, August 15, 2018 — Outlook Law, LLC, is pleased to announce that Christine V. Williams has been included in the 2019 Edition of The Best Lawyers in America. Since it was first published in 1983, Best Lawyers has become universally regarded as the definitive guide to legal excellence. This is Christine’s second consecutive year receiving this honor, which puts her in the top 5 percent of government contract attorneys in the Nation. Best Lawyers has published their list for over three decades, earning the respect of the profession, the media, and the public as the most reliable, unbiased source of legal referrals. Its first international list was published in 2006 and since then has grown to provide lists in over 75 countries. Best Lawyers has long been considered the gold standard of excellence in the legal profession for acknowledging the accomplishments of exceptional legal professionals. 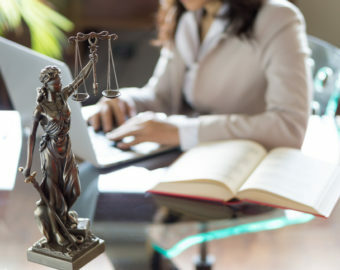 Mission: The driving principle of Outlook Law is to responsively perform excellent legal work focusing on Government Contracting as well as the Small Business Administration Programs, which intertwines with corporate governance and compliance. This goal contains four key elements: (1) providing cutting edge advice in relevant legal fields; (2) responsive and effective communication with clients to serve their unique needs; (3) accessibility for clients when they need legal services; and (4) delivering products that are top-notch quality.